How can we design and build homes that work for people, instead of the other way around? When it comes to buying, building and remodeling houses, we’ve been lulled into going for the lowest bid or the least cost per square foot. But anything cheap is bound to have long-term costs. Take plastic goods—most don’t last, and they come with a steep price tag to the environment. The same could be said for the materials and systems in our homes—pay me now, or pay me later. Delta Millworks' sustainably sourced exterior cladding Accoya absorbs 80 percent less water than similar wood products. To be sure, green building programs such as LEED reward holistic thinking. But how can the industry start incentivizing long-term value—which arguably is better for all of us? The burgeoning field of resilient design may point the way. Today’s building codes are doing a pretty good job of protecting occupants in the face of hazards. But many building professionals, including such organizations as the American Institute of Architects, recognize that “building to code” isn’t enough anymore. “Given the increasing frequency and intensity of superstorms, wildfires, hurricanes, tornadoes, flooding and other natural events, investing in resilience has quickly shifted from a ‘nice to have’ to a ‘must have,’” says Gutterman. 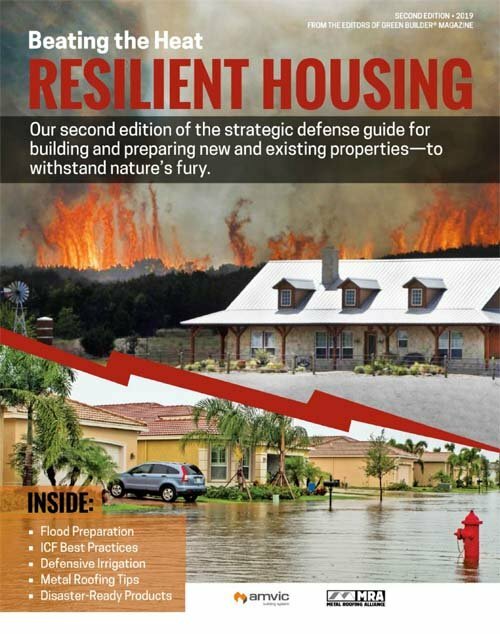 In short, resilience describes a building’s ability to bounce back in the face of disasters. I like the definition put forth in the Whole Building Design Guide, which names “four Rs” that characterize resilient buildings and communities: robustness, resourcefulness, rapid recovery and redundancy. In practical terms, this describes a building with a back-up plan—one that can take a battering and retain its vital functions. And one that may not just survive a disaster, but suffer minimal damage with minimal cost to its owner. Resilient design creates positive feedback loops. For example, a home with a robust, energy-efficient envelope will help regulate interior temperatures and keep occupants comfortable, even if the power goes out. And, because these buildings demand less energy, they help ease the burden on the electric grid and contribute less to the emissions that cumulatively lead to more extreme and unpredictable climate events. In that case, what are we waiting for? 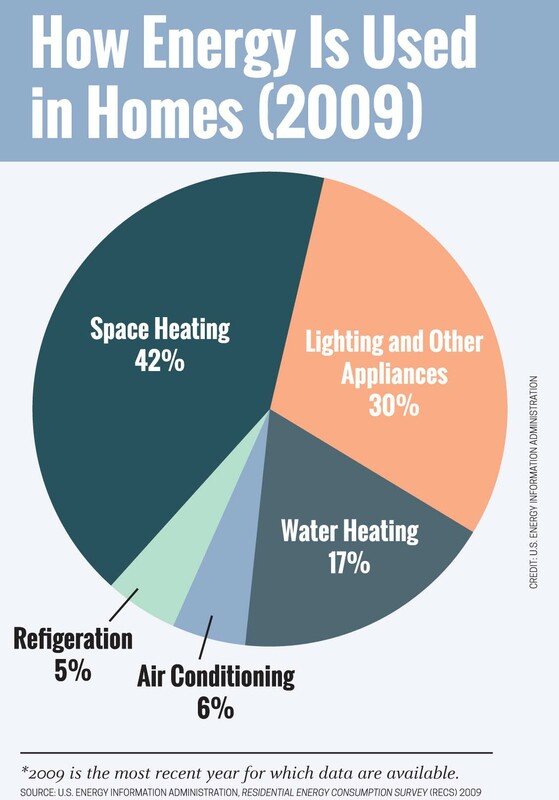 The Rheem mini-split system and hybrid water heater significantly cut down on the energy required for space heating and water heating—the two largest categories of energy use in most homes. The Align Project demonstration house showcases resilience with its renewable energy system and storage battery, durable and energy-efficient construction, and energy- and water-saving features. Architect Dason Whitsett designed the Kasita envelope after building science expert Joe Lstiburek’s “perfect wall” system, which uses four control layers, ideally installed on the outside of the structure, to manage rain, water vapor, air and heat. The envelope begins with a sturdy light-gauge steel frame. For the production model, parts are milled with a CNC machine, making for precise, tight framing. Noncombustible Roxul COMFORTBATT mineral wool insulation fills the stud cavities. “There is some cavity insulation, but the majority of the thermal control layer is outside the drainage plane,” says Whitsett, who teaches in the Sustainable Design Program at the University of Texas at Austin. Though the details are slightly different for each, both The Align Project demonstration house and Kasita’s production model utilize a rainscreen assembly, which provides a capillary break and a path for liquid water to drain. In the demonstration home, DuPont Tyvek CommercialWrap is installed against OSB sheathing. This durable housewrap controls air flow and repels bulk water but allows water vapor to escape; it is also UV resistant for up to nine months. Three inches of Roxul COMFORTBOARD rigid mineral wool insulation are installed between the housewrap and cladding. This rigid insulation is also installed on the roof and under the foundation, creating a continuous thermal barrier that eliminates most thermal bridging. Whitsett was excited for the opportunity to use Accoya from Delta Millworks as the exterior cladding. Accoya is sustainably sourced radiata pine that has been treated with acetylation. This non-toxic chemical process reduces the wood’s water-absorbing capacity by 80 percent, improving its dimensional stability and making it much less vulnerable to insects, mold and rot. 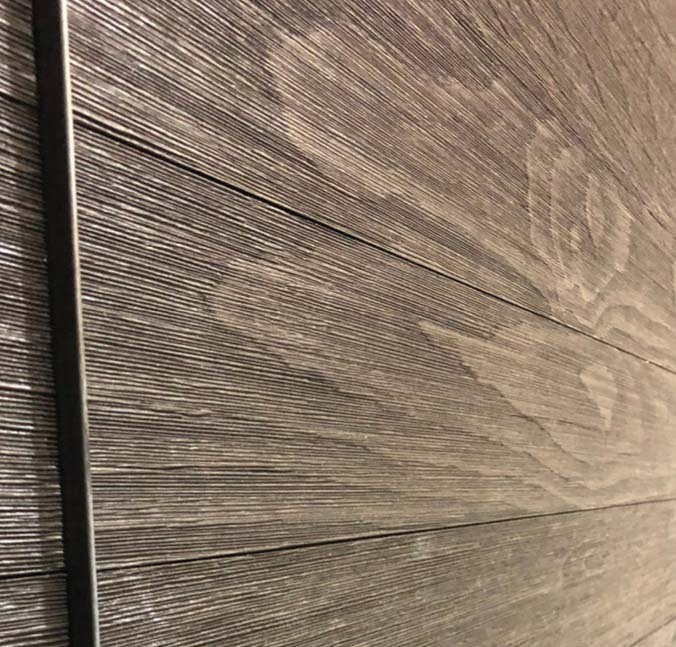 In addition, Delta Millworks treated the Texas Barnwood cladding with a surface charring process developed in Japan called shou sugi ban, which further protects the material from water intrusion—and results in a striking aesthetic. The high-performance Andersen windows feature SmartSun glass, which, with it high solar heat gain coefficient and high visual transmittance, is good at blocking heat and UV light, but still lets in plenty of light—ideal for the climates in Kasita’s target markets. “We designed for the most extreme conditions in all the locations we build for,” says Whitsett—up to climate zone 6; seismic design category E, which includes most of California; and wind speeds up to 150 miles per hour. Complementing the robust construction, features inside the home meet the lowered demand as efficiently as possible. An Energy Star-qualified mini-split system from Rheem provides comfortable space heating and cooling, and the slim indoor cassette mounts on the ceiling or in a framed enclosure—a perfect fit for small spaces. The Prestige hybrid heat pump water heater, also from Rheem, boasts an efficiency of up to 3.75 UEF, nearly 300 percent higher than a standard electric tank-type heater. The Align Project house features a complete renewable energy system with solar PV array from JinkoSolar, storage battery from Tabuchi (pictured above), and an electric vehicle from Toyota. The solar array on The Align Project house will feature JinkoSolar’s Eagle 60 mono PERC modules. PERC, or passivated emitter rear contact technology, improves the efficiency of cells by enabling unabsorbed light to pass back through the cell. The all-black modules have an efficiency rating of up to 17.72 percent. As an investment, renewable energy is a no-brainer: Once deployed, it takes advantage of “free” solar and wind resources and can lower or even eliminate energy bills while reducing the environmental impact—including water demand—of conventional fossil fuel energy. But renewable energy has always been a long-term investment, and the upfront cost continues to be a real barrier to entry for most people. Incentives such as the federal solar Investment Tax Credit (ITC) and alternatives such as solar leasing—and more recently, community solar—have helped paved the way for solar renaissance in recent years, but it will take incentives paired with progressive policies to push renewables, including electric vehicles, fully into the mainstream. California, the state with the highest deployment of solar, residential battery storage, and electric vehicles, is the test case. To help meet the state’s mandate that all new residential construction be net zero by 2020, the California Energy Commission passed a requirement that, starting in 2020, all new homes under three stories must include solar PV modules. Critics point to the added cost ($8,000 to $18,000, by one estimate) in what is already the nation’s most expensive housing market, but proponents argue that the monthly savings will more than make up for it. The state’s Self Generation Incentive Program has also helped California see a spike in residential battery storage installations. According to the Energy Storage Association, 36 megawatt-hours of grid-connected residential energy storage systems were deployed in the first quarter of 2018—mostly in California and Hawaii. These systems are still quite expensive, but changes in utility fee structures have incentivized them in some states. In particular, some utilities, California included, are changing from net metering to time-of-use metering, which charges lower rates during times of low demand. Finally, California’s Zero Emission Vehicle program, which requires automakers to earn a certain percentage of credits by selling EVs, has combined with generous rebates and a commitment to charging infrastructure to accelerate EV sales in the state. EVs could reach a market share of 10 percent by the end of 2018. Several other states have adopted the ZEV program. Meanwhile, the efficiency of solar PV systems and EVs keeps improving, as companies vie for supremacy in a “technological arms race” which has seen such advances as passivated emitter rear contact (PERC) technology and improved batteries. 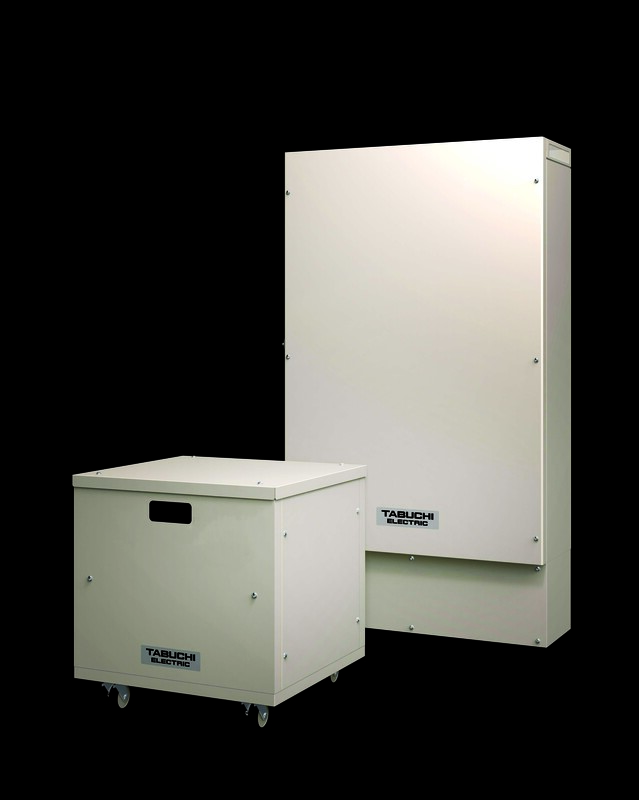 Align Project sponsor JinkoSolar offers several PERC products. “We’re always looking for ways to enhance the production of PERC cells,” says Jeff Juger, director of business development at JinkoSolar. The company, which started out as a manufacturer of solar cells, is set to launch a new mono PERC module with cells that are 2 millimeters larger in each dimension, which translates into a greater power output across the entire module. JinkoSolar is also manufacturing “half-cut cells”—solar cells that are literally sliced in half—which lower the resistance between cells and results in greater power output for the whole module. Loxone, which provides its comprehensive smart home platform for Kasita, also manufactures about 150 smart home products, including lighting fixtures, switches and accessories. The highly efficient LED fixtures can produce thousands of color combinations as well as warm white light, and the products also meet the standards of California’s Title 24, which requires high-efficacy lights and dimmers or vacancy sensors in most rooms. The system is flexible, too. 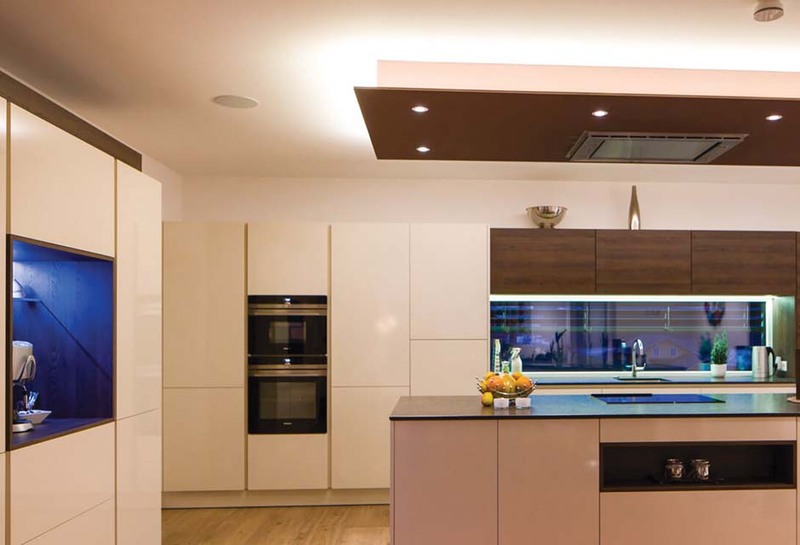 Existing lighting circuits can be integrated into the system, and all lighting can all be controlled via the Loxone Smart Home App or with Touch Pure, a frameless switch that can be used to control lighting, music and blinds. Products can be installed using flexible plug-and-play wiring or wireless dimmer and switch options. The Loxone system does not depend on internet connection, and its “cloud-free” products aren’t subject to software updates or the shuttering of cloud services.